Action-packed, swashbuckling adventures set in a magical island world! A battle for the magical world of Lemuria is raging and an evil sorceress called Obsidian is on the brink of victory. 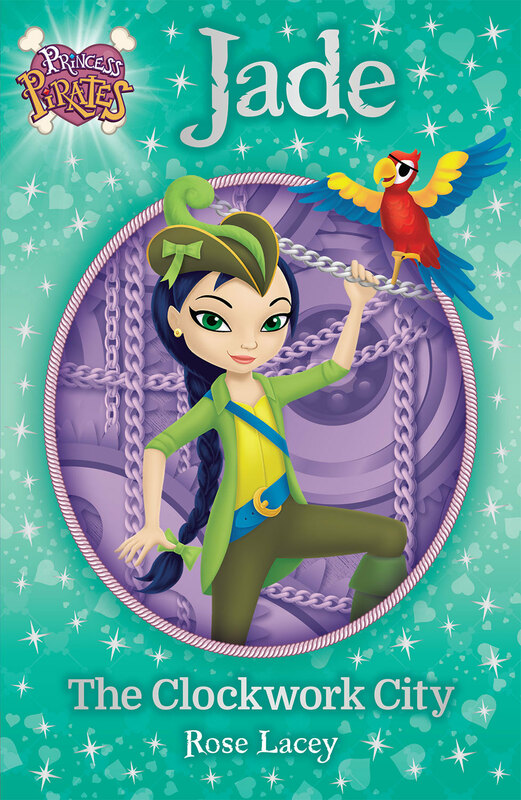 Get ready for swashbuckling adventures with the Princess Pirates as they use their magical powers to help the people and animals of Lemuria, whilst embracing the values of teamwork, friendship, girl power, courage, and loyalty. Join Jade in book 2 as the Princess Pirates start to master their super powers and use them to rescue the people and animals who live in the clockwork city. Their friendship will be put to the test as they battle against the wicked Obsidian. Self-confidence boosting books with life-affirming themes. Rose Lacey lives by the coast and is an editor by day and a swashbuckling adventure story writer by night. She has a pair of parrots who are almost as clever as Pegleg (a parrot in the Princess Pirates series of books) and on holiday she crews a boat with her best friend from school. Rose loves exploring beaches, which is where she dreams up her stories.